Each ear measures approx. 7" x 3.5" x 1"
Are you looking to have the biggest ears on the block? We don't blame you because we know that having big ears is really a blessing in disguise. Not only do you hear better when you have jumbo-sized ears, but you also get asked to make special guest appearances at parties. Yup, that's right, you'll be asked to attend lots of fabulous parties so everyone can marvel at your amazing, extra large, hearing appendages! Tell your many fans that they can look, but they can't touch. You don't want to risk damaging your colossal ear canals, do you!? 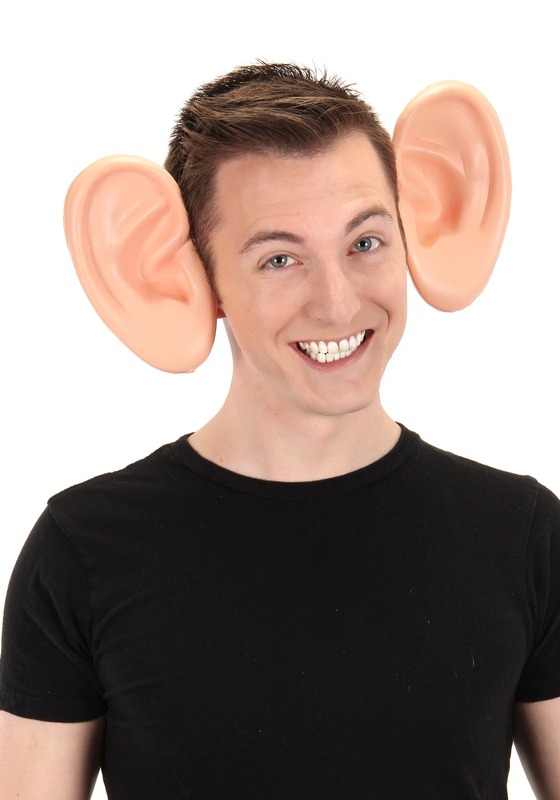 This accessory made from soft EVA foam will give you the mammoth-sized ears that you want. The giant foam ears are fastened securely to a comfortable headband so anyone can easily wear this funny accessory for hours. Let us know if you somehow acquire supersonic hearing by wearing this headband, if so, we are definitely picking up a pair too!